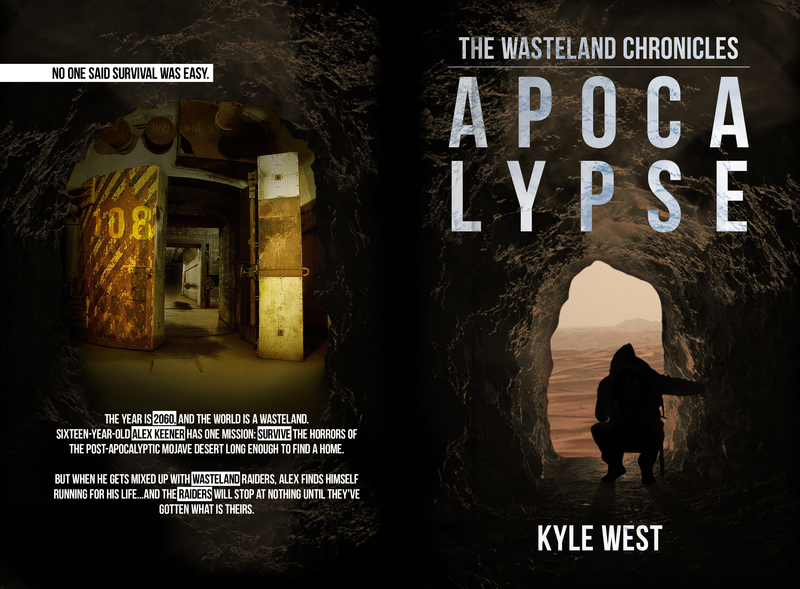 Apocalypse (The Wasteland Chronicles) coming to paperback! Luke Atkinson and I (mostly Luke) are working very hard to bring you, dear readers, a physical copy of Apocalypse, which will available directly from Amazon soon! This should all be set and ready to go within a month’s time (as in…available in a month or less). I’m not sure on costs yet, but I’d expect something in the range of $6.99-9.99 (plus shipping). Besides being able to have a physical copy in your hands, I’m also excited about doing giveaways! I’ll be doing several first edition SIGNED book giveaways on Goodreads whenever I have the first copies in my hands. Wowza! Left: Back cover. Right: Front cover: Black middle=spine (too thin for text, alas…it is a novella after all). I’m very excited about this print copy. I can’t wait until everything in the series is done, so they can all be collected in one giant book, something that I would expect to be anywhere from 120,000 words (on the low end) to 175,000 words on the high end (wowza indeed!). I’m already starting to outline book two, so hopefully that can be done in no more than two months. Kewl!